Our country’s criminal justice system is comprised of individuals and agencies working together to investigate crime on the streets and dole-out justice in the courtroom. When someone is arrested this powerful system goes to work against them in an effort to obtain a criminal conviction. If you’ve heard of the “wheels of justice,” you may understand how this system can grind a person to a pulp in the process. But having a talented and hard-working Bryan-College Station criminal attorney on your side – one who understands the bureaucracy – one who knows the written and unwritten rules – and one who speaks the language of the prosecutor – will help to level the playing field. 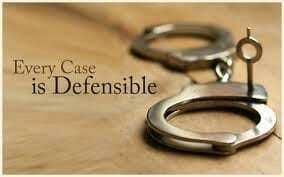 Below we have listed just a few ways a criminal attorney can assist in your defense. If you have questions, or if you would like to discuss your situation, please call us to schedule your 5-step case review. 7. Communicating with your family. Your journey through the criminal justice system is likely to be hard on your loved ones, too. Your family will be worried about you. Your criminal defense attorney can serve as an intermediary between you and your family and the criminal justice system, helping to ease their anxiety. How Does Evidence Get Excluded From Court? What Are My Rights After Getting Arrested? I wanted to thank you for explaining how a criminal attorney can help. It’s nice to know that they should help you assert your constitutional rights. This seems very important especially if you may not fully know what rights you have or when they should be asserted. Of course! Thank you for visiting. Thanks for saying that a criminal defense attorney can investigate the charges against my brother. If they can develop a theory of defense to help him, I’m pretty sure that he’ll be set free from jail. I think that he was wrongfully accused so I need someone to represent him in trial to help him avoid conviction. Thank you for commenting. I believe the lawyers main job is to investigate and understand the facts. Only then can the law be properly applied. My best to your brother and good luck!